Marineros is a band formed by Constanza Espina Constanza Espina (Viña del Mar, Chile, 1985) and Soledad Puentes (Concepción, Chile, 1985), known for their auto-defined existencialist-love pop. 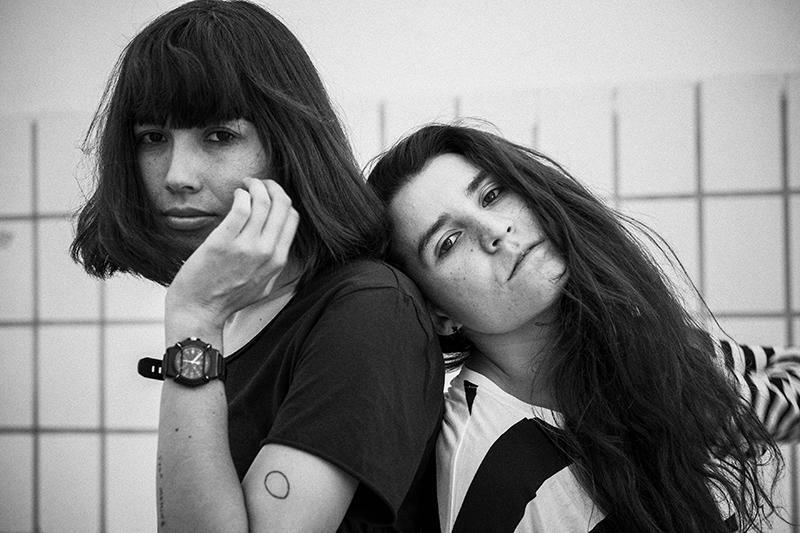 During 2013 and 2014 they released their first three singles “Espero”, “Oh oh” and “Cae la noche”, songs that will be part of their first album, a work that will be edited this year, under their own label named “Barquito”. Quickly, their singles got to Chile’s main radio stations, and the reviews generated a lot of expectations around the duo, and the newspaper “El Pais” from Spain, named them one of the five Latin-American promises in pop-music. This year they will be part of the fifth version of Lollapalooza Chile. Marineros music is a mixture of light and shadow, with lyrics that speak of love and existentialism, sung by CER, with her soft voice, always on the edge of shattering into a thousand little pieces, and Soledad, that smashes her guitar so delicately that it moans as if it hurt, because it hurts, but it is also all that really matters.